With the cold and snow continuing to affect many parts of the UK, Met Office forecasters are warning of icy conditions persisting through the weekend and next week. Met Office advisories of severe weather for snow and icy roads are in force through the weekend across parts of northern and eastern England, parts of Scotland And Northern Ireland and south west England, where snow showers and icy roads will become increasingly likely. Met Office Chief Forecaster, Frank Saunders said: “The cold and snow have become firmly established across the UK and although the focus of the snow has mainly been across eastern parts of the UK, as we head through the weekend many other parts may well see some snow showers too. The cold persists into next week with strengthening easterly winds making it feel particularly raw, with widespread frosts. 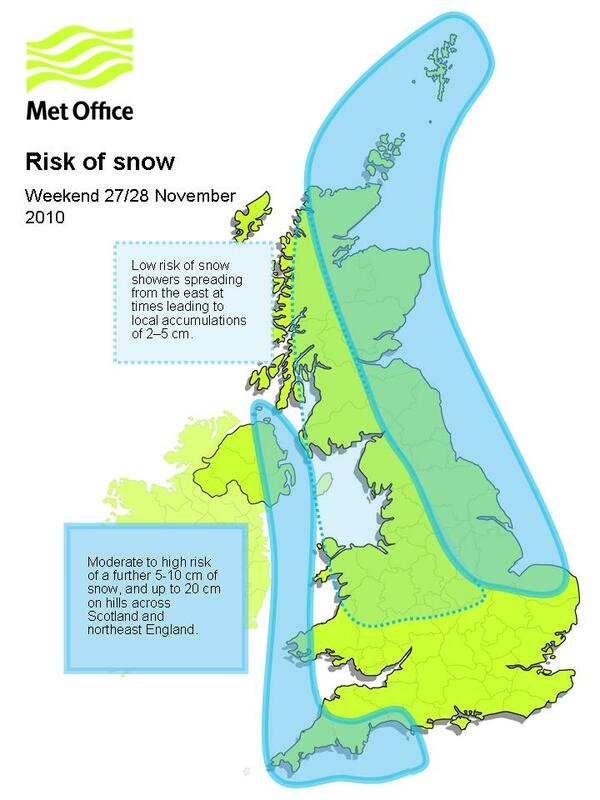 Further snow is likely and Met Office forecasters are keeping a close eye on the developing situation. Throughout the winter the Met Office works with the Department of Health and NHS to help keep people well at times of severe weather. Our specially produced health forecasts, such as Healthy Outlook for COPD patients, give professionals and patients the opportunity to take action to help keep them well as cold and snow take hold.